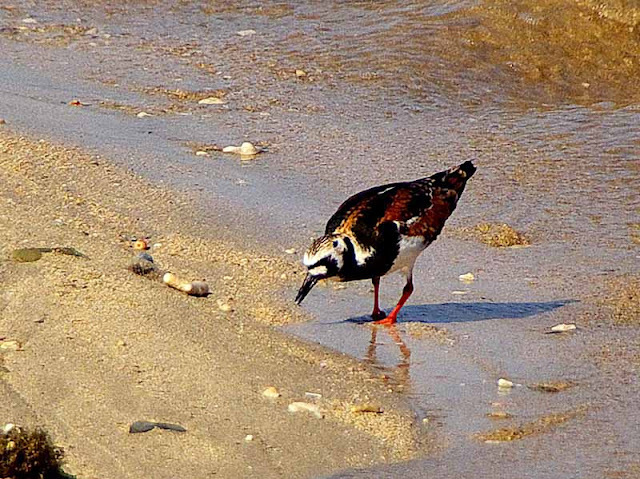 The Ruddy Turnstone (Arenaria interpres) is one amazing bird. These guys ought to get some sort of world travelers award. The first encounter I ever had with one of these birds was just about two years ago. 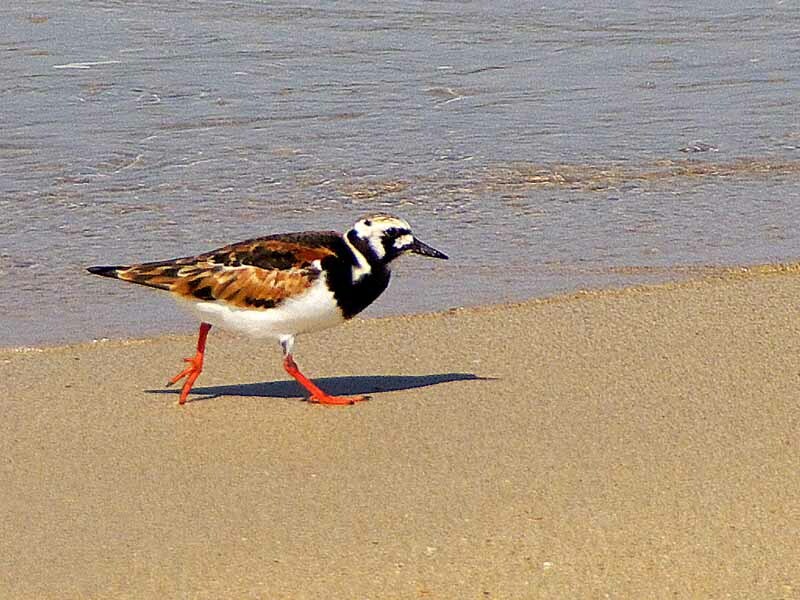 I recognized the other birds on the beach but, had never seen one of these Turnstone characters anywhere in my life. So, I hung out awhile and took as many shots, from different angles, as I could. These birds have some colors that make them stand out in a crowd. 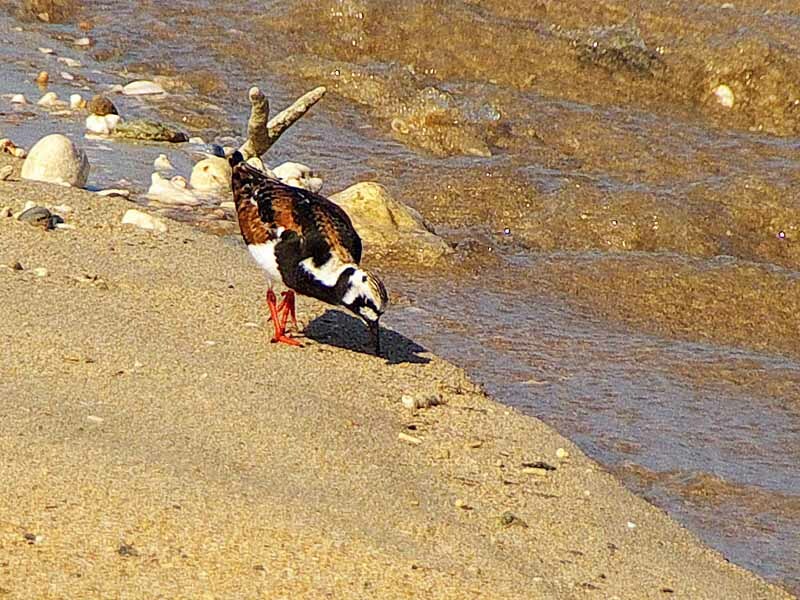 They stay close to the water's edge and eat small shellfish, invertebrates and maybe some bugs and veges to balance their diet. Whatever they eat, it must be good for them. They live to be over 9 years old. They like shores with rocks on them. They got the name Turnstone because, when food is scarce, they turn stones over looking for stuff. And, if they find a worm, they'll eat him, too ! 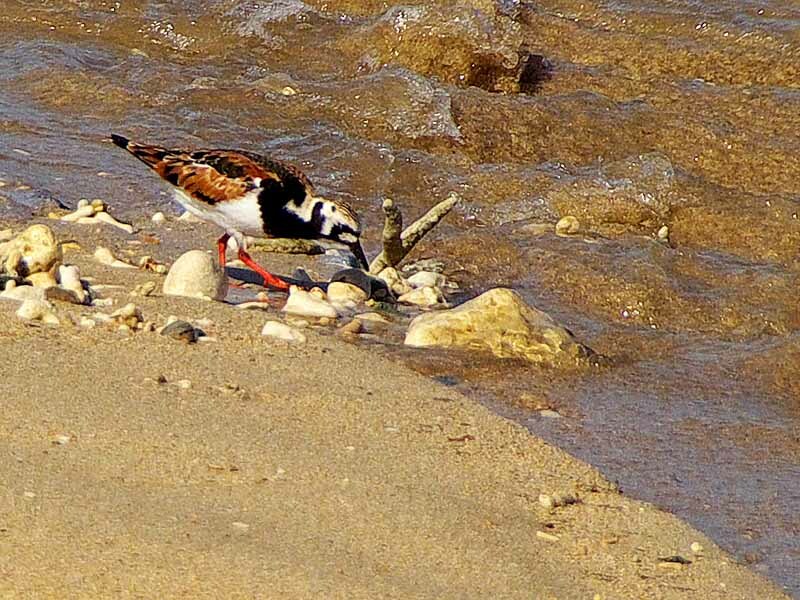 The Ruddy Turnstone breeds in northern latitudes like Alaska, Canada, Greenland, Denmark, Finland, Sweden, Northern China, Russia and the USA. Places where it's too cold for flip flops so, I guess you won't be seeing me taking any pictures of what goes on when they do that stuff. 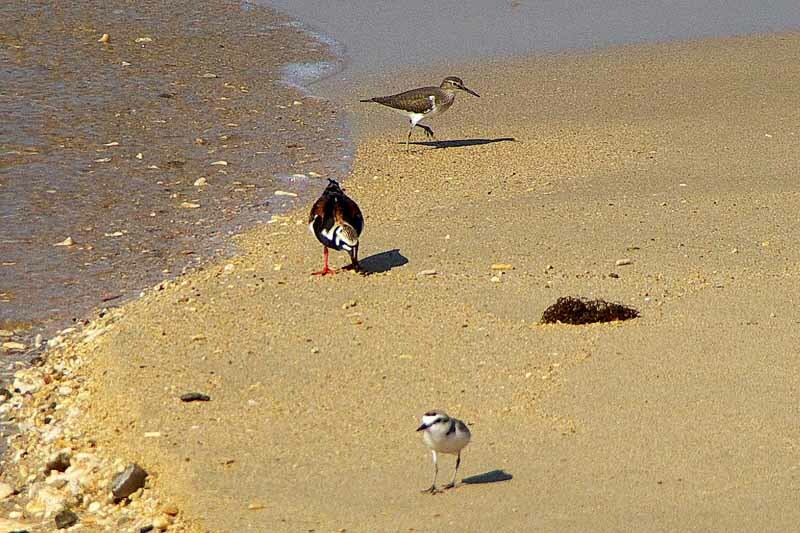 These birds come down to the southern latitudes in the winter and visit my Ryukyu Islands. This character was not far from my home. These photos were taken on Kin Red Beach in Okinawa, Japan. 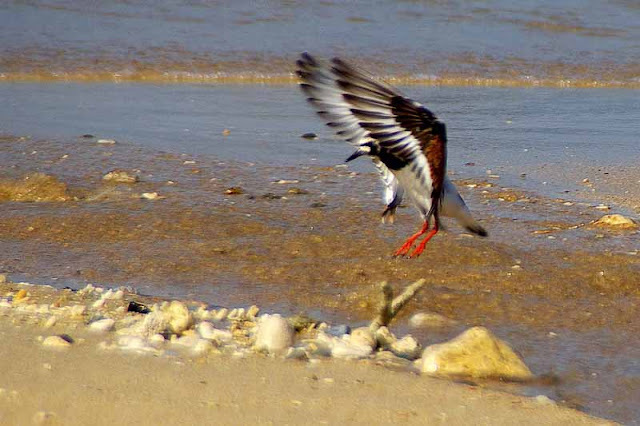 Last night I just got the latest issue of Australian Geographic and that's what prompted me to dig up these old photos from 2009. 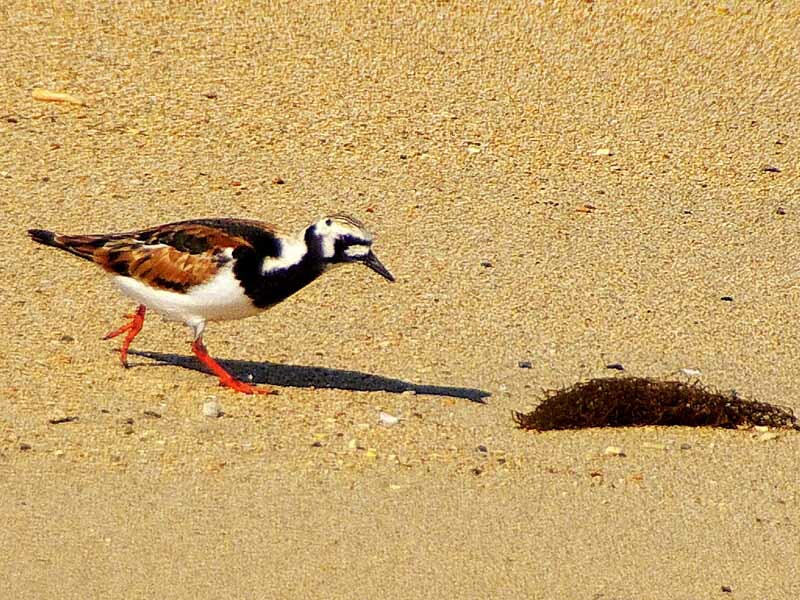 It seems like a couple of people way smarter than me hooked some of these Ruddy Turnstones up with ultra lightweight tracking devices they call goelocators. 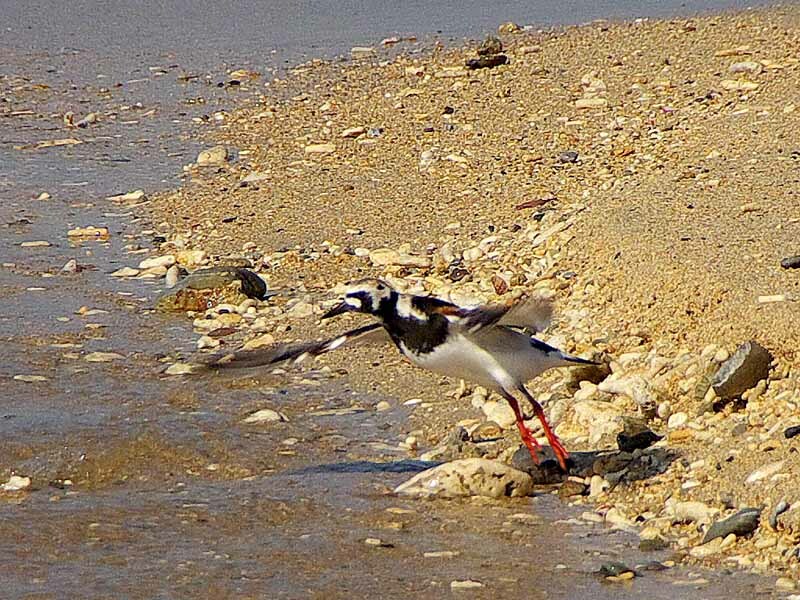 They say these birds fly non-stop all the way from Australia to Taiwan in six days. That's something like 7,600 kilometers ! 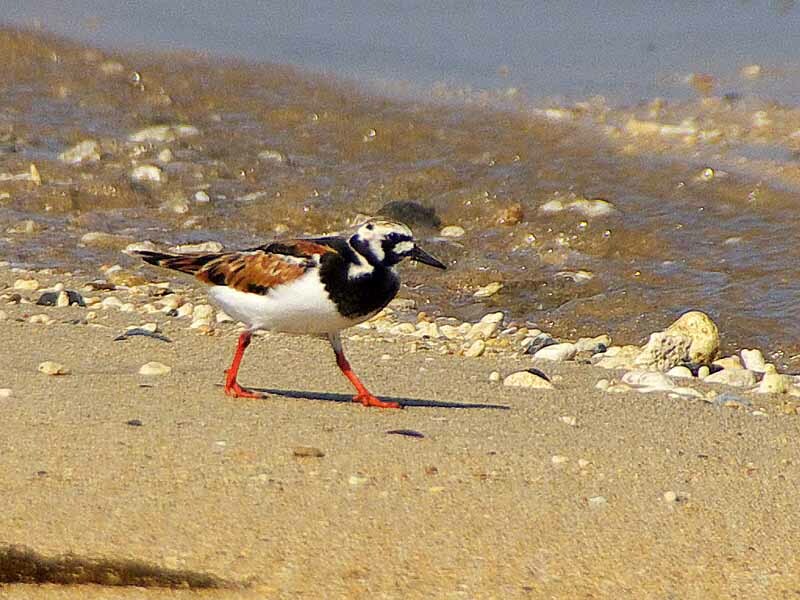 They used to think the Ruddy Turnstones, on their return flight, would fly by the Americas but, these guys are tricky. They sneaked up into Siberia. That's where they do the mating thing. Then, they returned to Australia by way of the Pacific Ocean. One bird heading back to Australia decided to take a scenic route and flew some 27,000 kilometers total for his round trip. 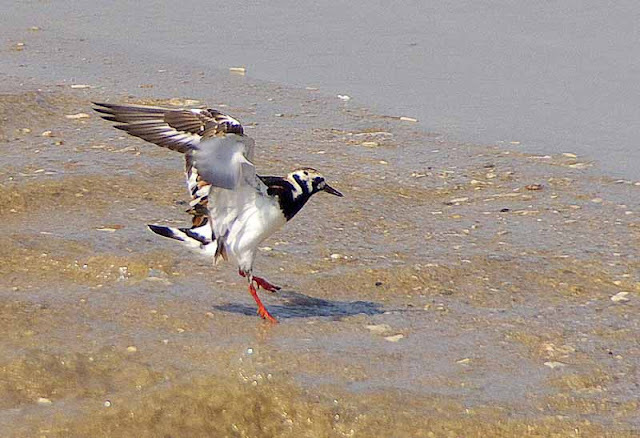 And, if you are a frequent flier, you may want to change your diet to stay as healthy as these birds (they ain't bad lookin' either) because I know, if everybody had to pay for their airplane tickets based upon how many grams of weight they stuffed into the plane, we'd all go on healthy diets. 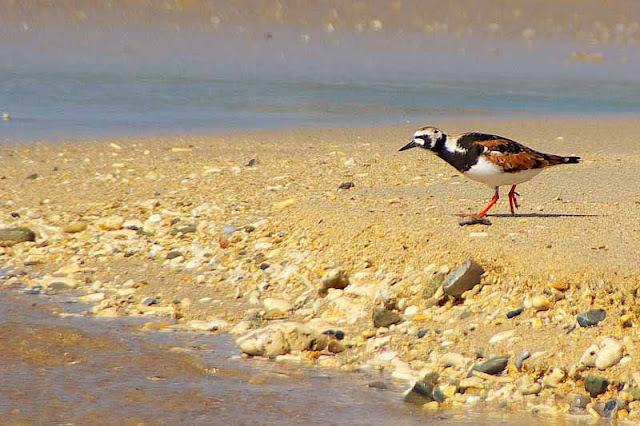 The Ruddy Turnstone is one heck of a world traveler. This bird is probably the most travelled wildlife I've ever taken a photo of and didn't realize it until today ! 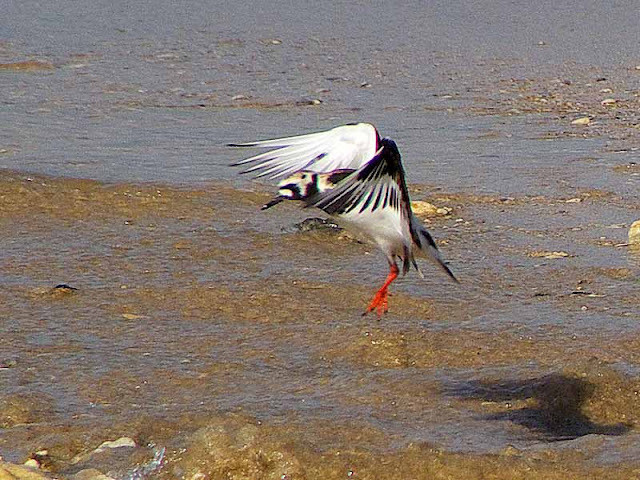 What an amazing bird, you're privileged to have captured it Mike. Look around, I think you may have some visit Scotland, too!